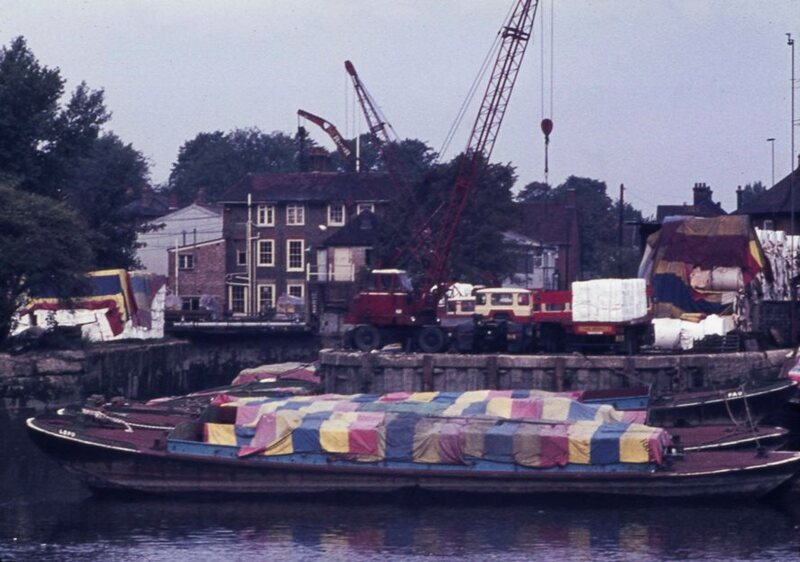 Peter Young's photos were taken on 30th August 1976, first two views of several barges covered with striped tarpaulins - red, yellow, blue. Unloaded are lots of barrels, three cranes at work moving them on to trucks. At least that's what I think is happening. In the background of the first photo is the Police Section House, built around 1966 and to the right the spire of St Paul's church. 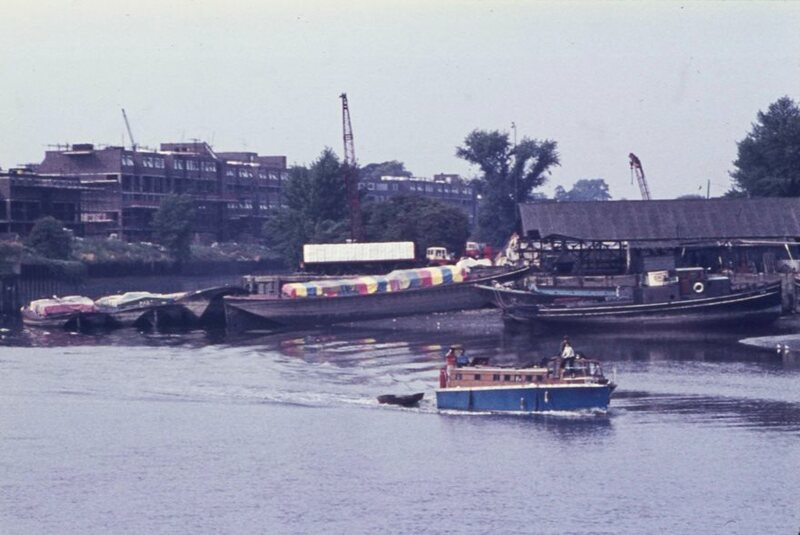 The third photo looks towards Brentford Dock where the Brentford Dock Estate building is underway. 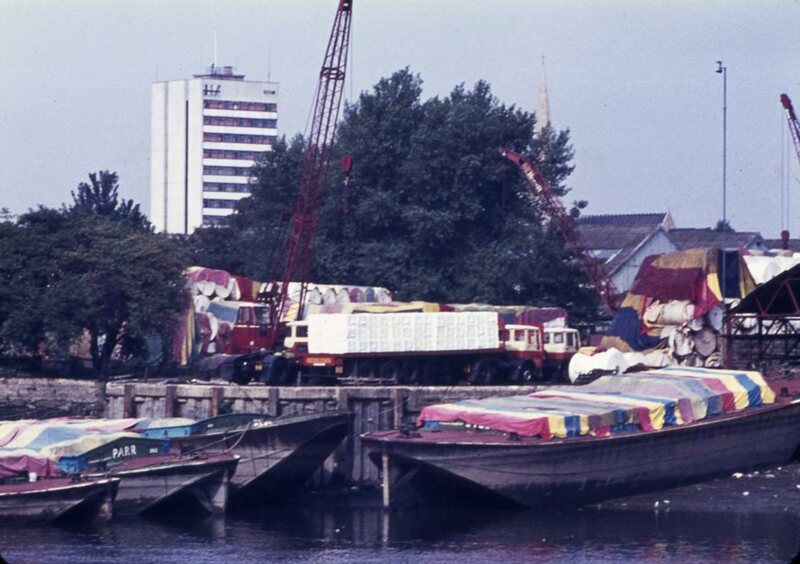 The name PARR can be made out on one of the barges.